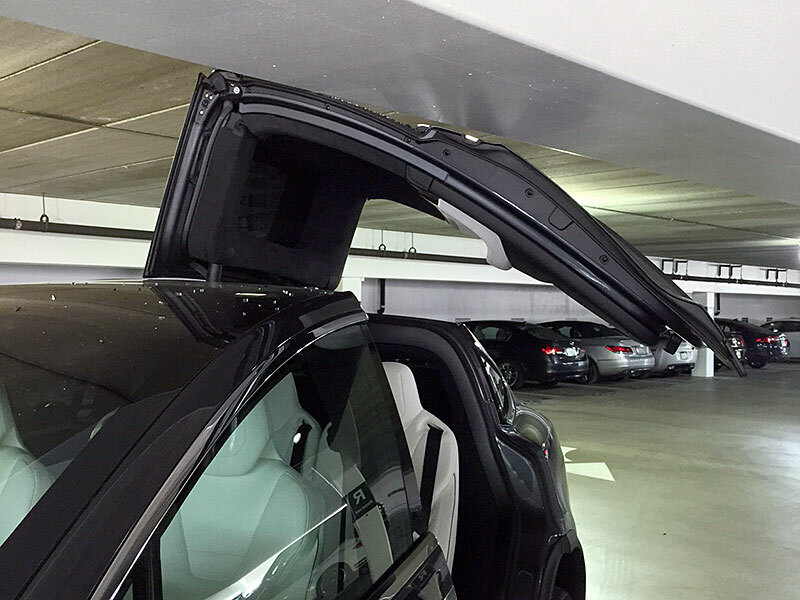 Several Model X owners are reporting the Falcon Wings doors' sensors cannot detect certain obstacles when opening up to prevent impact. It involves mainly low beams from ceilings. This might have to do with the centre proximity sensor failing to detect obstacles directly above the glass roof. 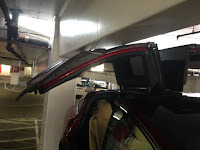 Model X's manual does state "...the sensors are unable to detect all areas under all circumstances, particularly when closing...". 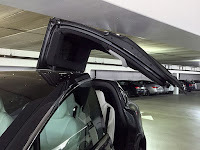 Recently, Tesla has pushed an OTA update with option to open the doors halfway in "umbrella" mode. I am looking forward to the delivery of my X this summer. I have decided to alot a double bay for it since falcon wings will be centered between the overhead door rails providing more ceiling room. Also I see the X is considerably wider than the Prius it is replacing and this will reduce door bashing from my other vehicles.